Hello everyone! As you know, salads are one of the dishes that I like to do and the the dressing is the secret to get a really good one. A few days ago I discovered the vegan blog "the garden grazer" where I found this dressing, and has become one of my favorites. Here I share you as I do it and I also write it in Spanish because that blog is in English only. If you want to see more recipes for vinaigrettes click HERE. Hope you like it. It's really easy, delicious and super-healthy. 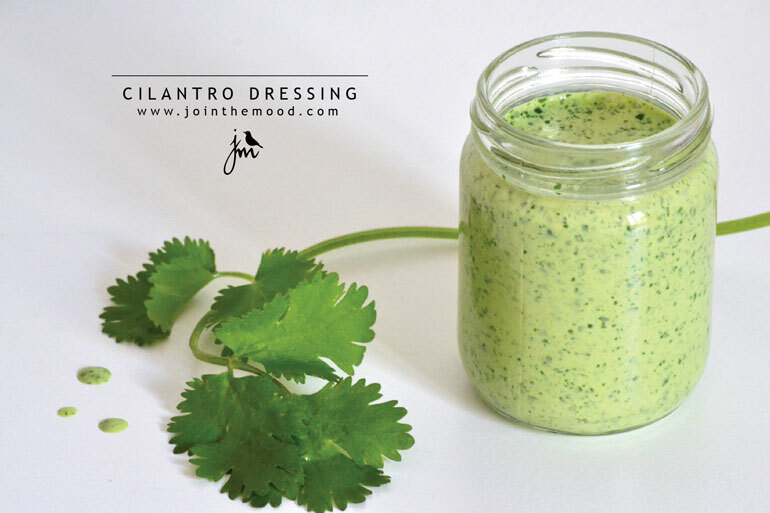 Wash the coriander and mix all ingredients in a blender until smooth and soft. Adjust salt or any ingredient to taste. Hola a todos! Ya sabrán que las ensaladas son uno de los platos que mas me gusta hacer y muchas veces el secreto para lograr una realmente buena es la vinagreta. Hace algunos días descubrí el blog de comida vegana "the garden grazer" y encontré esta vinagreta que se ha convertido en una de mis favoritas. Aquí les comparto como la hago yo y además la escribo en español porque ese blog está solamente en ingles. Si quieres ver mas recetas de vinagretas haz click AQUI. Espero que les guste. Es realmente fácil, deliciosa y super sana. Lavar bien el cilantro y mezclar todos los ingredientes en una licuadora hasta que quede homogénea y suave. Ajustar la sal o algún ingrediente al gusto. According to the tweet, Nicholls will be working with Atman Binstock, who was previously lead engineer on Valve's virtual reality project before he join Oculus VR as chief architect.Oculus VR recently made headlines after social networking company Facebook acquired it for $2 billion in cash and stock. Company co founder Palmer Luckey said on Reddit this past weekend that members of Oculus VR received death threats following the announcement of the sale.